Do you remember what it was like to start a blog? I sure do! For anyone who starts a blog knows how nerve wrecking it can be. 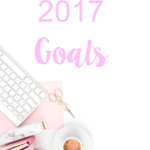 I know when I first started blogging eight months ago,I was so afraid to make mistakes as a new blogger. I never knew just how much work blogging could be. 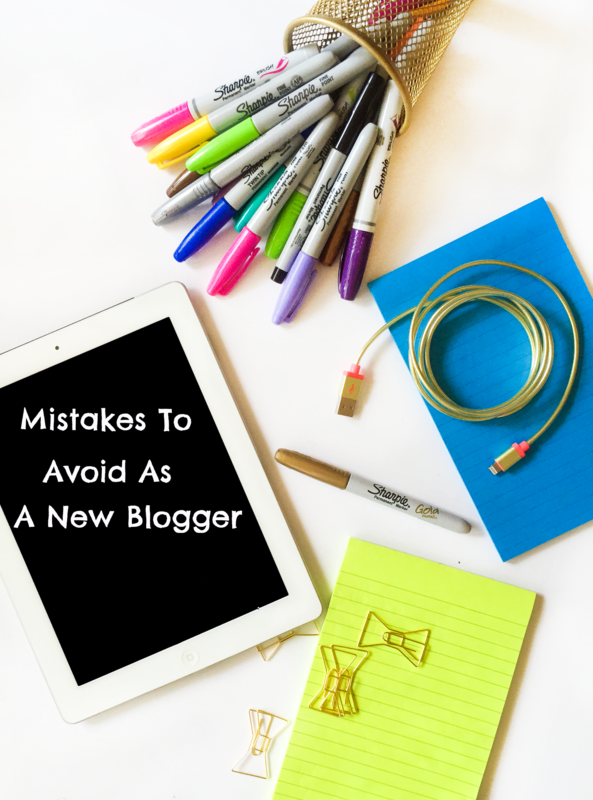 We all made them and I’m here to help you avoid some of the blogging mistakes that are common for new bloggers. Images are so important when writing your posts. I tend to be attracted to blogs that have images that are visually appealing. No I’m not saying that you have to be the best photographer but have images that draw your readers in. Here are some blogs that offer great tips on photography. Using social media has been one of the best ways I have been able to promote my blog. Rather you want to use Instagram, Twitter, Facebook,etc using some type of social media platform will help your blog be more successful. It’s also a great way to reach out to others that may not may not be someone that typically reads blogs. I recommend starting off with choosing one or two platforms that are easy to keep up with and then branch out to more once you feel more comfortable. Check out these blogs for some great tips on using social media. I find this to be a big No, No when it comes to being a blogger. Replying to comments is a great way to interact with your readers. By not replying to them it makes them feel ignored and they may stop reading your blog altogether. I have been extremely guilty of this. We are all busy and things happen in our lives that may prevent us from blogging on some days. However, this can make you lose your audience. It’s best to have a posting schedule and be able to stick to it. Make it clear to your readers how frequent you will be posting. 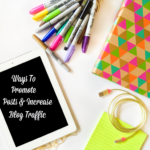 Promoting your blog is so important. Why do all that work and not share it? It can be scary putting yourself out there at first but I promise you, it’s so worth it. Get yourself out there and show your worth. 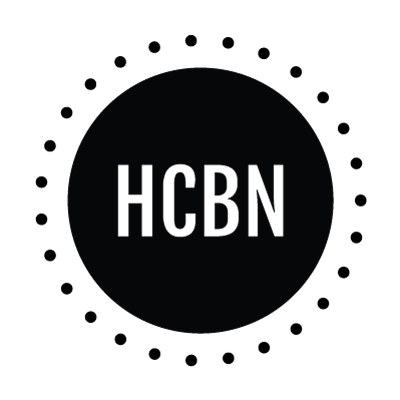 Join blogging communities, share your posts on social media, comment on blogs to get yourself out there. I hope you found these tips helpful if you are a new blogger or have been blogging for awhile now. Do you have any tips for new bloggers or any mistakes you’ve learned from when you started blogging? Great tips!! I love your point on not responding to comments. I always make it a priority to do this at the end of every day. Sometimes it takes five minutes and other times it can take a good hour or so. 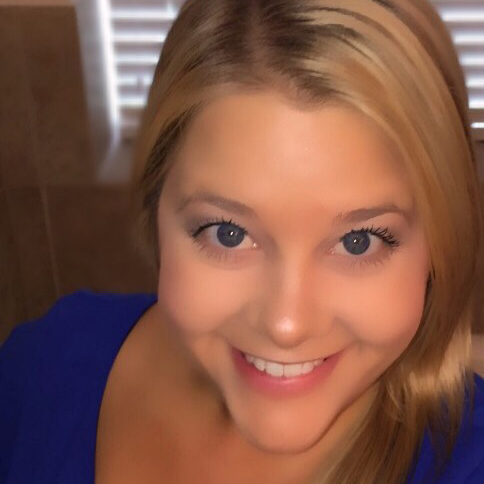 Either way, I love making the time to connect with my readers! Thank You Keating! I try to respond that same day to comments. If I don’t respond that same day, I will still respond no matter what. I think it is important to respond back because it lets them know you appreciate them taking time to read your blog. Thanks for sharing these tips! I recognised a couple of those posts you linked too! I’m extremely guilty of not posting regularly. I dont always reply to comments… I’m so busy all the time- thanks for bringing that to my attention. Its a simple yet easy thing I can do to engage more with my readers. This biggest mistake Ive leanred from blogigng is not using Pinterest! Melissa, I agree that replying to all comments can be time consuming but I do see how much of a difference it makes (at least for my blog). I’m so glad that I’ve slowly but surely been using Pinterest to promote my blog. I’m not perfect at having my pinterest altogether but at least I have one. great tips! My images were so sad when I first started blogging, so I’m glad I stepped it up in that department! My pinterest game has grown so much since then! Chelsie my images from when I first started blogging….not even going to go there. I’m not saying that mine are amazing now but I have stepped it up as well. Pinterest has been a great thing for my blog. It doesn’t drive as much traffic as I would like just yet but I am learning. Totally sound advice! Social media can be SO hard to keep up with. It’s amazing how much work goes into blogging! When I first started blogging Chrissa trying to keep up with social media was tough. I’ve found my balance and I am hoping to venture out to other social media platforms soon. Blogging is hard work! I am making several mistakes but I would like to think I am atleast making fewer now. It’s so funny to read a helpful post one day then a don’t read the helpful posts the next day. I try to learn from the more seasoned bloggers. Some of us jump into this world and we don’t shadow anyone or have a mentor. We are doing the best we can. 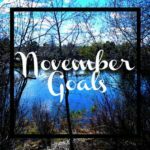 I have set goals and am motivating myself. Without goals what’s the point. I’m trying not to give up and cam easily reflect where I started. So I’m slowly making it. Nothing is quick, right? I just notice some areas I’m better at then others. Some I desperately need to work on. I have BIGGER goals/ dreams for 2016! Thank you for sharing what worked for you which is what it’s all about. Rose I think we all make mistakes as bloggers and we learn from them. That’s the great thing about blogging. No one has to be perfect but if anyone can help along the way, that’s great. I had no idea what I was truly getting myself into when I started this blog. I thought it was going to be easy but I was wrong about that. It takes time and work to have a blog. I hope that you reach your goals for 2016! These are all definitely true! Thanks Jenny! I’ve been guilty of making these. Thanks for sharing! I’m sill fairly new to the blogging world so I’ve been trying lately to avoid all of these to take my blog to the next level. Completely agree about posting tiny/low quality images. Visuals are so important in getting people to recognise your blog and, essentially, stick around! It is Lizzy! I know when I first started blogging my images were not great at all. Going back and looking at them I was like oh jeez. I’m still learning how to become a better blogger and hopefully will continue to grow. Love all of these! The only thing I really want to work on is posting more, I post every Monday and Thursday because that’s all that time allows me right now but I’d like to add another day in there for 2016! Kate, I have been so bad lately with posting. I am going to do posts on M,W & F’s starting soon. I think it’s a little easier for me instead of trying to blog every day. I can’t wait to see your future blog posts! I love the point about replying to messages. I believe this is very important. I know for me personally, I will stop reading your blog if I leave a message and never get a response. I believe communicating with your readers is important. Thanks for sharing! Daria, thank you! I agree that it’s very important to stay engaged with your readers. They are the one’s who are interested in what you have to say, so if they leave a response, I leave one back. Wish I would have known some of these tips when I started out! haha! Great list, girl! Great Tips! Even if you just do swaps, that is promoting your blog! Thank You Ashley! I would love to do a swap,etc soon with other bloggers. It is a great way to promote your blog. Replying to comments is key! People like to interact with the bloggers they are interested it. Def gives it a personal touch! Dayne I could not agree more! I understand all of us are busy as bloggers but it really is important to let your readers know you appreciate them. great tips! I never understand it when people don’t respond to comments!! I agree Angela. I understand as bloggers we are all busy but it’s nice to know that when you comment they see it and appreciate it. These are all sooooo true! Yes they are Angie. I wish I would have known them when I started blogging. I am still learning and will make mistakes all the time. I’m okay with that because it will help me/my blog grow. These are great tips! I get sad when bloggers don’t reply to my comments sometimes because often I have actual questions that I’m hoping they will answer! These are great tips! Especially about replying to each comment. With so many other things to do that often gets pushed to the bottom of my blogging list, but I am definitely going to focus on my readers more! Thank You Caitlin! Sometimes it’s hard to reply to every comment but I find time throughout my day to respond to everyone. I think it’s important to stay in touch with your readers. Great ideas. 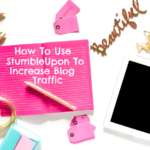 It’s really important to post consistently as a new blogger! I agree Hayli! I’ve been guilty of not posting consistently and have been working on getting better at it. Thank You Emily! I agree that getting new content out there can be challenging. I was trying to blog every day and that was just not working. So I am going to start blogging M,W & F’s. Posting 1-2 blogs a week is still good. We all have busy lives, so at least we try as bloggers. I give props though to bloggers who can blog every day. I wish I could do that but like you I work full time. Can’t wait to see your holiday workout challenge! Great post. When I first started, I posted crappy , tiny pics. I regretted it because later I went back and replaced all of my images…it took FOREVER! Great advice. Chelsea my pictures from when I first started blogging weren’t great either. They weren’t tiny but I was taking pictures with my iphone, so they weren’t great quality. I am trying to improve on that daily. These are so on point! When I started I barely did any of these. But they’re so important for new or any blogger to implement. Thank You Autumn! I agree all of them are important no matter if you are a new blogger or a blogger that has been blogging for awhile. We all learn every day. All very important things. I wasn’t great with social media or photography when I started but they are areas that I’m definitely working on improving! I’m still getting the hang of consistency without burning myself out, but I’m getting there. These are great tips! Danielle I am right there with you. I was trying to blog every day and I just couldn’t do it. I am so guilty of not posting regularly, which I feel bad about. So now I am going to be posting M,W & F for sure. Totally guilty for the social media. I guess it’s just me working on not seeing social media as shoving my blog / posts in someones face. Great post though. Handy tips to be better as a blogger. Totally know that I need to up my game on social media. More so on instagram and twitter. Also, totally need to promote more. Awesome tips! Especially the comments one. It is so important to interact with everyone that stops by and reads your content! Thank You Liz! I could not agree more that it’s important to respond to comments. These are SO true! I was definitely guilty of a few of these myself. I barely used my social media pages in my early days of blogging. And the images. Oh, the images. They were bad. I’m glad I’ve improved there, because my blog wasn’t very pleasant to look at before! Erin my beginning images for the blog were not that great either. I have improved that’s for sure and still have room to improve. I am guilty of not replying to comments. I have to make a goal to do this more often. Toni it def helps with keeping readers coming back to your blog. They like when you respond to them. Hope your goal with doing this works well. Great tips! I really saw an uptick in views when I started replying to comments and engaging with readers! Thank You Becki! I think it’s great to be able to engage with your readers by commenting back to them. Precise and very helpful list. Thank you Mistle. Alissia I know when I first started out my images were not that great (I’m not saying the one’s I have now are amazing) but I continue to learn. Thank You for reading! A year in and while I’ve got many things on this list down, the one thing I still struggle with is consistency. I’m always awed of those bloggers that have content planned and written out for months. Kati I am also bad at inconsistency. If I had the time to plan all my blog posts in advance that would be great but I don’t. At least we try. I agree with all of your tips – seriously all of them are important. I used to post low quality and small images because I couldn’t figure out how to make them bigger and keep the pixel quality, once I figured out, my views sky rocketed and it was amazing!! Thank You Samantha! I used to post low quality images as well. I’ve slowly but surely learned how to make my images better. Thank You Rosalyn! I’ve been working on trying to create more blog posts. Commenting is so important. 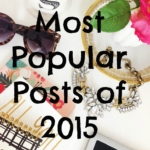 I am still guilty of slacking off on some of these and I’ve been blogging over a year. There’s always so much to do! Bethany I completely understand! I will have been blogging for a year next month and I still am not perfect and make mistakes. Wonderful tips! 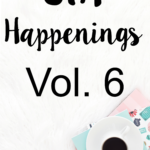 I’ve been really bad about posting consistently since I started blogging, but this month I’m really working on being consistent and frequent with an editorial calendar and everything. Thanks for sharing! Such great tips and ones that we can all benefit from!